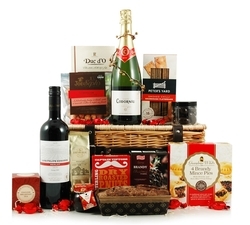 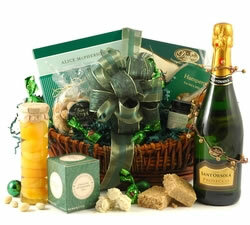 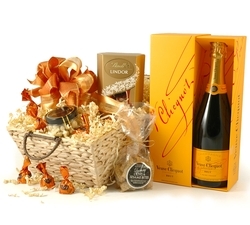 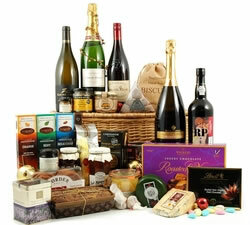 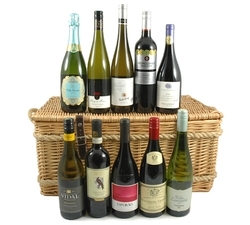 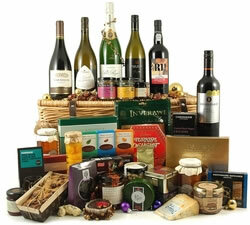 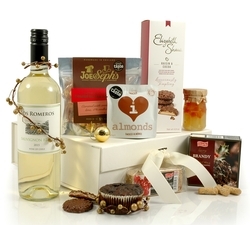 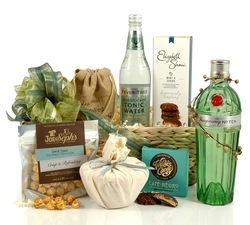 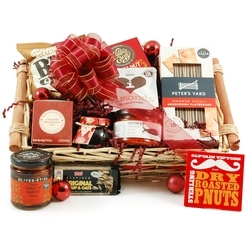 View our range of beautifully presented Christmas Hampers with award-winning contents. 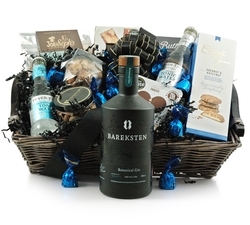 Perfect for friends, colleagues or clients. 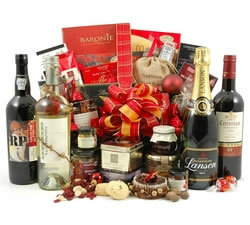 Christmas gift ideas from £22 to £400. 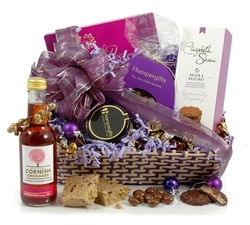 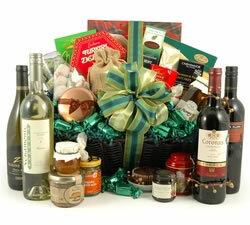 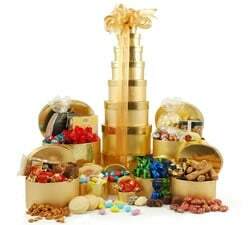 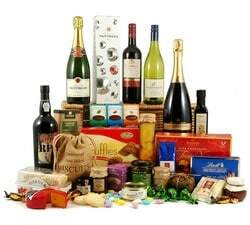 'Tis the season of goodwill so why not spread some happiness with a Christmas Hamper from Hampergifts? 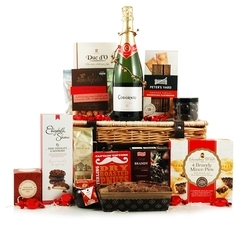 We have a wide range of Christmas Hampers for 2019 available so you can be sure that you'll find the right gift for friends, family or corporate clients. 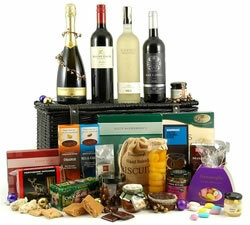 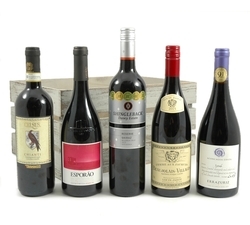 Ranging from £22 to £400 there's something to suit every taste and budget. 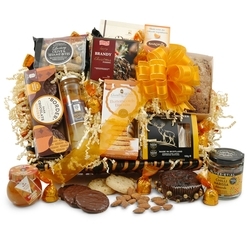 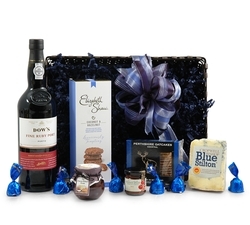 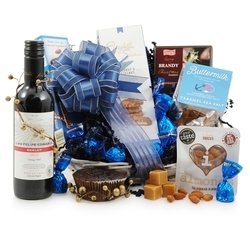 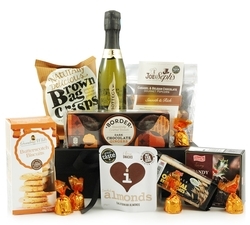 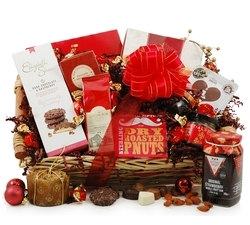 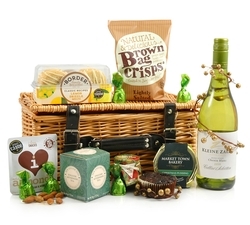 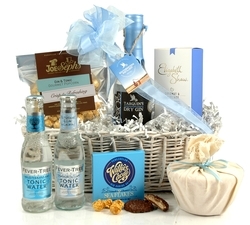 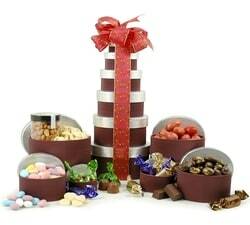 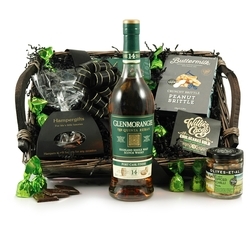 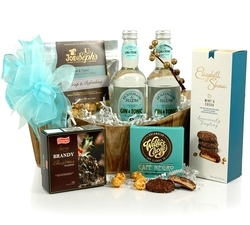 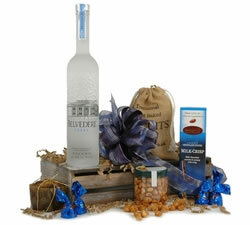 Christmas Surprise : Always one of our most popular Christmas Hampers. 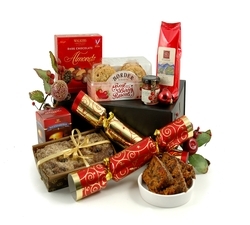 It's crammed with Xmas delights including a Brandy Christmas Pudding, a box of mouth-watering Mince Pies, After dinner mints, and more. 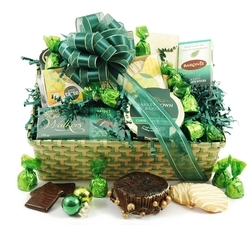 Beautifully wrapped with festive green ribbon this is an ideal yuletide gift for relatives, staff or colleagues. 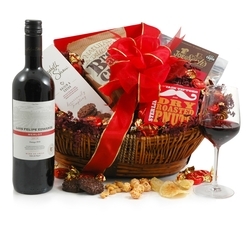 White Christmas: A celebration that can be enjoyed by the whole family. 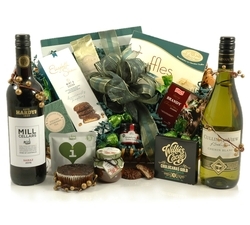 Starring a trio of fine wines and a mix of sweet and savoury treasures - butter shortbread, vanilla fruits, pickle, coffee, chocolates, oatcakes, lemon curd, savoury biscuits and more. 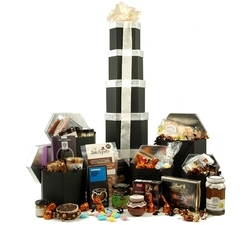 All of our Christmas Hampers and Gift Baskets are lovingly hand-wrapped and packaged ready for you to kick off your festive season in style.